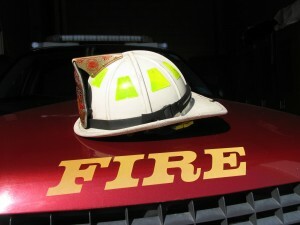 BRANDON, SD -A homeowner and firefighter died in a Monday morning house fire in Brandon.According to Brandon Police Chief David Kull, homeowner 47-year-old David Smith was transported to a Sioux Falls hospital where he was pronounced dead.At 10:41 p.m., firefighters were ordered to exit the home and at 11:01 p.m., a Valley Springs volunteer firefighter was reported missing. At 1:30 a.m., his body was located in the basement of the home.The identity of the firefighter has not been released at this time. The age of David Smith has been corrected after receiving revised information from authorities. © 2015 KELOLAND TV. All Rights Reserved. 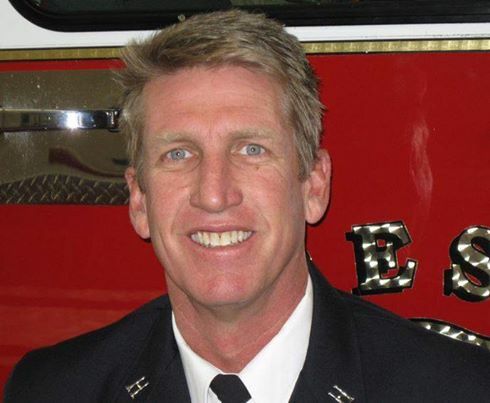 March 31–Fresno firefighter Pete Dern remains in serious condition and faces skin grafts and weeks of other intensive treatment for burns he suffered Sunday when a roof collapsed at a garage fire and he fell into an inferno, the medical director of the Leon S. Peters Burn Center said Monday afternoon. Dern, 49, had inhalation injuries as well as second- and third-degree burns to about 65% of his body, Dominic said. Dern was rushed Sunday afternoon to the burn center, which firefighters helped build in the 1970s. Dern is on a ventilator to help him breathe. He has had one surgery and is looking at many more, with an operation scheduled for Wednesday to remove dead tissue and do temporary skin grafts. “This could be a very prolonged situation,” Dominic said. Dern was leading several firefighters across the roof to provide ventilation for the safety of attack crews when the roof collapsed, the fire department said. A video posted on Facebook that captures Dern’s fall into the flames has received national attention. Dern’s clothing and gear have been saved, Fresno Fire Chief Kerri Donis said. Members of the Occupational Health and Safety Administration are in Fresno to investigate the work injury, she said. But she also is bringing in an outside team of independent investigators, she said. Dern is a 25-year veteran of the department and has been a captain for 17 years. On Monday, dozens of fellow firefighters gathered at Community Regional Medical Center in support of their colleague. All of them described Dern as a leader. Van Tassel said Dern “is a husband, a father, a firefighter and he’s our friend.” Dern has one daughter “that he’s very proud of,” he said. A firefighting family drove her to the hospital from the college she’s attending, he said. He’s known Dern for years, and Van Tassel describes his friend as someone good at assessing situations, possibly a trait from his time as an Army Cobra helicopter pilot. But he also has an aesthetic eye. Dern built a house in Shaver, which he sold. He also took an old oak branch on the property and fashioned a mantel for a fireplace, Van Tassel said. But foremost, Dern is a dedicated firefighter. He’s worked at the busiest fire department truck company for the last five years, Van Tassel said. He could have moved to a less “brutal location,” but chose to stay. Dern stepped out and put himself at risk hundreds of times, Van Tassel said. She also praised Dern’s team. The firefighters did everything right in a worst-case scenario, she said. Donis said Dern was fortunate that the Leon S. Peters Burn Center is located at Community Regional Medical Center in downtown Fresno. “He needed immediate burn attention from the experts,” she said. Fresno firefighters and the burn center have a long connection going back four decades. “The center started in 1974 as a result of a Fresno firefighter who was injured,” said Sandra Yovino, the center’s clinical director. The firefighter had to be rushed to San Jose, the nearest burn center at that time, she said. In the 1970s, burn centers were a new idea, Yovino said. There were only a few nationwide. But Fresno firefighters raised initial funds to help open one, she said. The 10-bed center now admits more than 200 burn patients a year and treats another 500 yearly as outpatients. For years, the Fresno Firefighters Association has held “Fill the Boot” fundraisers for the center. The burn center’s hyperbaric oxygen chambers to treat smoke inhalation and hard-to-heal wounds are thanks in large part to fund-raising efforts by Fresno firefighters, Yovino said. “One reason we maintain our hyberbaric department is for our firefighters,” she said. In the past three years, the burn center has treated nine firefighters, Yovino said. Dern is the first Fresno firefighter among them, she said. Contact Barbara Anderson: banderson@fresnobee.com, (559) 441-6310 or @beehealthwriter on Twitter. Fresno Fire Capt. Pete Dern returned to surgery Friday morning to prepare his burn wounds for skin grafting. Surgery once or twice a week is not unusual for patients such as Dern who have sustained major burns to a majority of the body, said Community Regional Medical Center staff. Dern was burned over 70% of his body March 29 when he fell through a garage roof while fighting a house fire and was engulfed in flames. Late Thursday afternoon, Dern worked with physical therapists to stand for a short time as part of a regimen important for maintaining muscle strength, said Sandra Yovino, clinical director of the Leon S. Burn Center at the hospital. During the therapy session, Dern was able to enjoy a hug with his wife, Kelly. Firefighters from Sacramento and Bakersfield visited the hospital Thursday to support Dern and Fresno firefighters. Contact BoNhia Lee: blee@fresnobee.com, (559) 441-6495 or @bonhialee on Twitter. A Bad Day for a Great Officer. This graphic video is not to second guess or “armchair quarterback” an incident. It is, however, a brief snapshot into an evolving incident. A snapshot that allows all of us, who “are of the cloth” (Blue), to say, “there but for the Grace of God...”. Our thoughts and prayers are extended to our Fresno Family. There has been a lot of discussion and, as always, that is how we learn and hone our craft.